Nando's, home of the legendary, Southern African flame-grilled PERi-PERi chicken, has recently opened up a new location near Courtney Park and Hwy 10 on 90 Annagem Blvd. Interestingly, their approach to opening new stores is that each location gets a unique interior decor and layout. That means that each Nando's you visit will be uniquely different decor wise while the food remains consistently delicious. Their famous PERi-PERi sauce embodies the fiery spirit of Southern Africa and is the special ingredient that makes their chicken and PERi-PERi deliciously addictive, says their website. Headquartered right here in Mississauga, the Nando's team understands that blending sought after food and a warm, inviting atmosphere is what will keep them competitive and they're doing quite the job of that, with additional locations on the horizon. • Nando’s has strong African and Portuguese influences. We call it Afro-Portuguese, and it’s expressed in our restaurant designs and our food. • PERi-PERi is the Swahili word for Bird’s Eye Chilli, and is the special ingredient that makes Nando’s chicken and sauces so deliciously addictive. • The Bird’s Eye Chilli is the only chilli that grows upwards, towards the sun. • Their PERi-PERi recipe remains a closely-guarded secret. • Their chickens are locally sourced, marinated for 24 hours and never frozen. 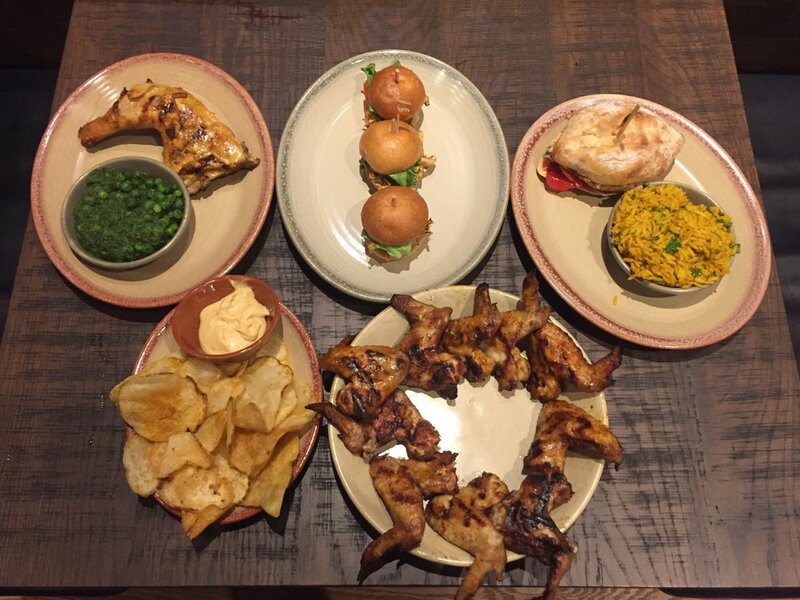 • Nando’s chicken is grilled to perfection on order over an open flame. • Nando's has bottled the fire and flavor of PERi-PERi in a range of sauces and can be purchased in grocery stores across Canada. • If you’re going on an expedition to the North or South Pole, your last stops to fuel up on PERi-PERi are Aberdeen in Scotland and Queenstown in New Zealand! • Their very first restaurant opened in 1987 in Rosettenville, a suburb of Johannesburg in South Africa. It’s still there to this day. • Nando’s has over 1,200 restaurants worldwide. • The first Nando’s in Canada opened its doors in Richmond BC in 1994. • Each one of their restaurants has its own special design, no two Nando’s will ever look the same. • Patrão. Portuguese for ‘Head of the House’. At Nando’s, each restaurant manager is the head of their restaurant (casa), so we call them Patrãos. • Nando’s is believed to have the world’s largest contemporary South African art collection.